This release primarily fixes a startup failure problem created by the prior update release, and should be installed by all users who applied that release. The soft delete mechanism of some ORMs is incredibly valuable, it lets you actually retain your data while “deleting” a user or record. New feature: Auto-assignments. 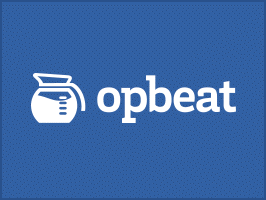 When an error occurs, Opbeat deduces who the best equipped person to fix the code is, via Git. Receive fewer but smarter notifications spend more time being productive. Read the full article. Averages are fairly straight forward to compute, but not always the best metric. Sometimes percentiles such as perc 90 or perc 95 are better indicators of how you’re actually doing, fortunately you can pretty easily get directly to those in SQL. Want to see how Postgres’ upsert compares to other offerings? Here’s a rundown of the syntax vs. what other databases support. While a small change, a pretty critical one to the JSON operators for Postgres 9.5 this will easily let you update some value deep within a larger JSON object.